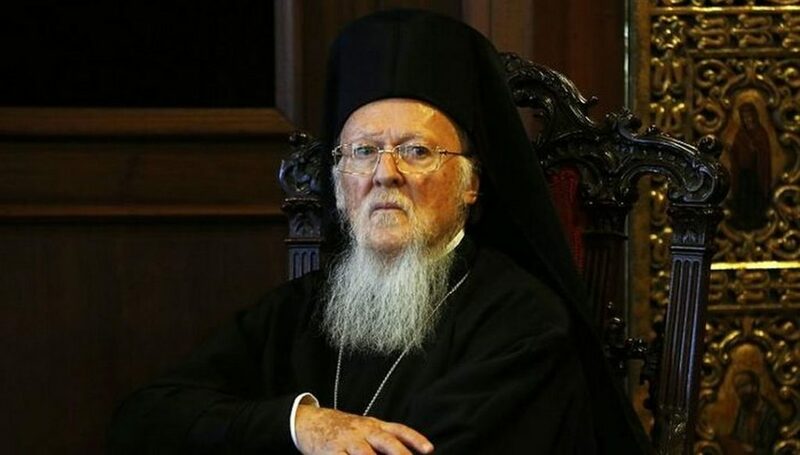 Istanbul, March 13, 2019 – The Orthodox Churches have no right to speak on the matter of the Ukrainian crisis other than to affirm the decisions and actions of the Patriarchate of Constantinople, according to Patriarch Bartholomew’s reply to the Albanian Church that was recently published in Greek and subsequently in Russian. There can be no “no respect” by demand or order or any other means for the faithful Orthodox Christians to accept wrong doing, to reinstate clerics who did wrong, and what is happening in Istanbul (Constantinople). Such things are a pattern and mirror of what is happening around the world and in our community. Authority comes from Truth and right belief and love of God and respect for all peoples. “Rightly defining the Word of Thy Truth” is the prayer for the hierarchs. When the hierarchs support the Tower of Babel, we must flee. It needs to be noted that the Bishop of Istanbul is indeed trying to take actions as an “Eastern Pope” and usurping authority that isn’t his. First, the Canons do give the Pat. of Constantinople the authority to “ARBITRATE” issues between other Patriarchs, but BOTH Patriarchs must agree to this arbitration. In the Ukrainian case regarding autocephaly, a $25MM down payment was given to Pat. Bart. to “recognize” their autocephaly. The ROC never agreed to such arbitration. 2nd, autocephaly can’t be “GRANTED” by the Pat. of Contantinople (Istanbul); he was never granted this authority by the entire Church. He can only “RECOGNIZE” a church’s autocephaly like all other local, independent churches. With the Ukrainians, it was a matter of offering up money and $50MM more has been given to Pat. Bart. 3) Other autocephalous churches have asked for a Council to discuss what has happened in the Ukraine, but Pat. Bart. has refused. Who is he to refuse what the entire Church requires? WE DO NOT HAVE AN EASTERN POPE! 4) We no longer have a Byzantine Empire; there is no Emperor; there is no Sultan – the Pat. of Istanbul no longer has powers and authority granted to him by these NON-ECCLESIASTICAL institutions. The Pat. of Istanbul is just that and his authority DOES NOT go beyond his own ecclesiastical territory. The entire Church must gather to clarify exactly who the Pat. of Istanbul “IS” and how he interacts with the entire Orthodox Church. An entire Church Council to be held at Christ the Savior Cathedral in Moscow should be summoned! It seems the patriarch is imitating the leader of the country in which he lives, Ertogan! How sad!